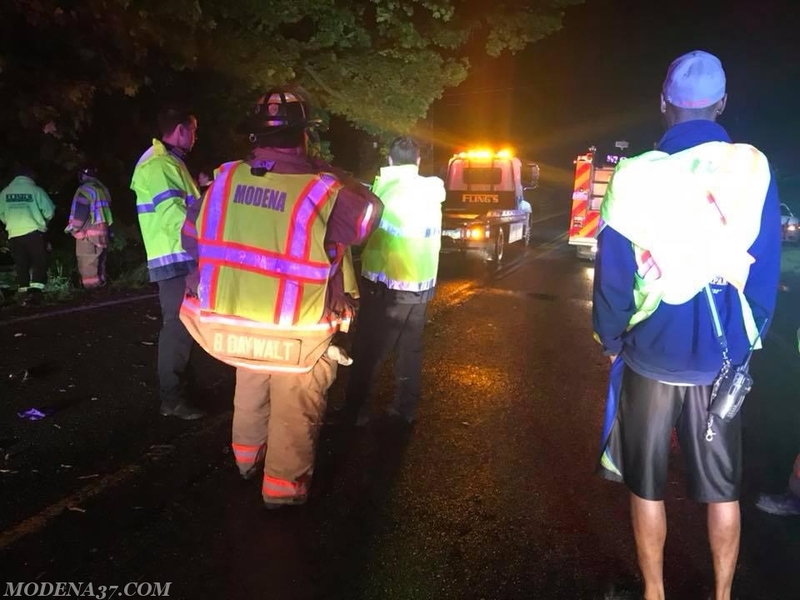 On Friday night May 18, 2018 the Modena Fire Company was alerted along with Rescue 44 around 1130 to an accident reported with entrapment on Buck Run Road in East Fallowfield. 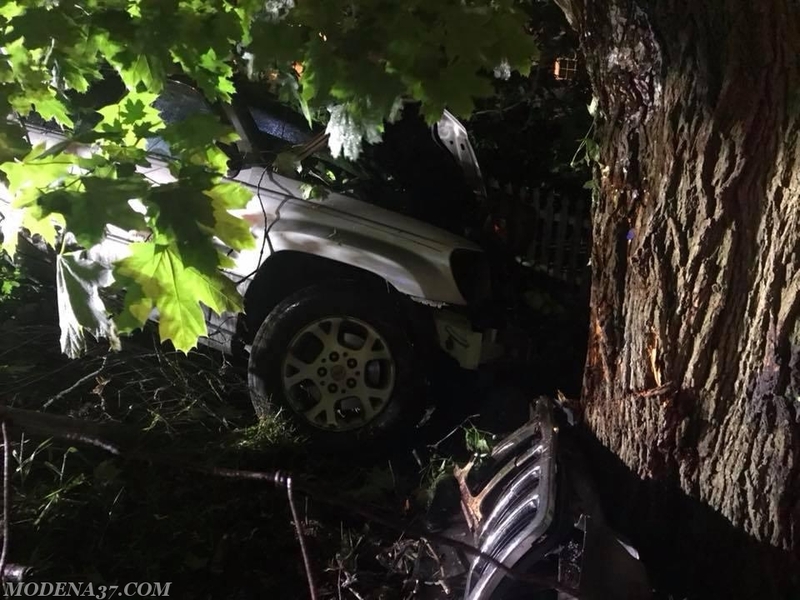 Captain 37 (Reason) arrived and advised one vehicle over an embankment into a tree, also reported no entrapment with 3 occupants to be checked. A second BLS and ALS were requested along with Fire police. Assistant 37 (Bryant) arrived and assumed Buck Run Command. 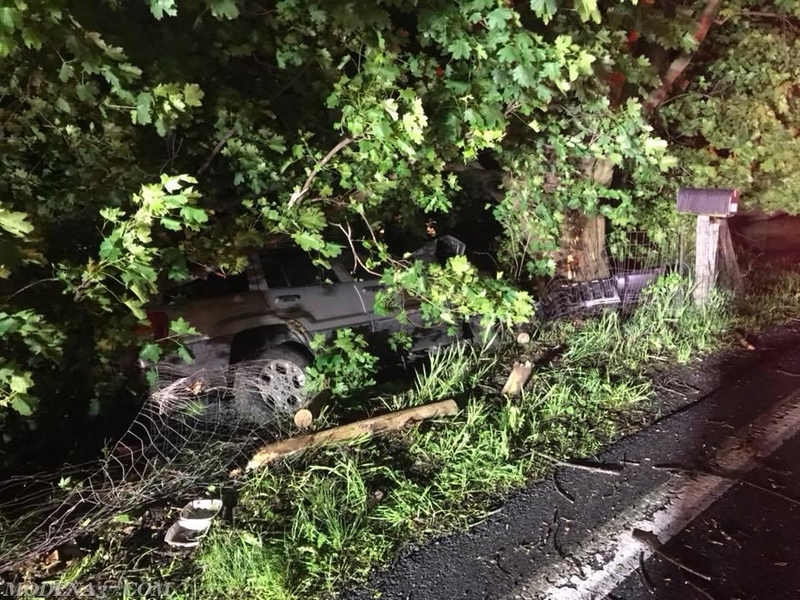 Ambulance 37-1 and Engine 37-1 arrived, and crews went to work with patient care and removing trees for easier access to get patients up embankment. 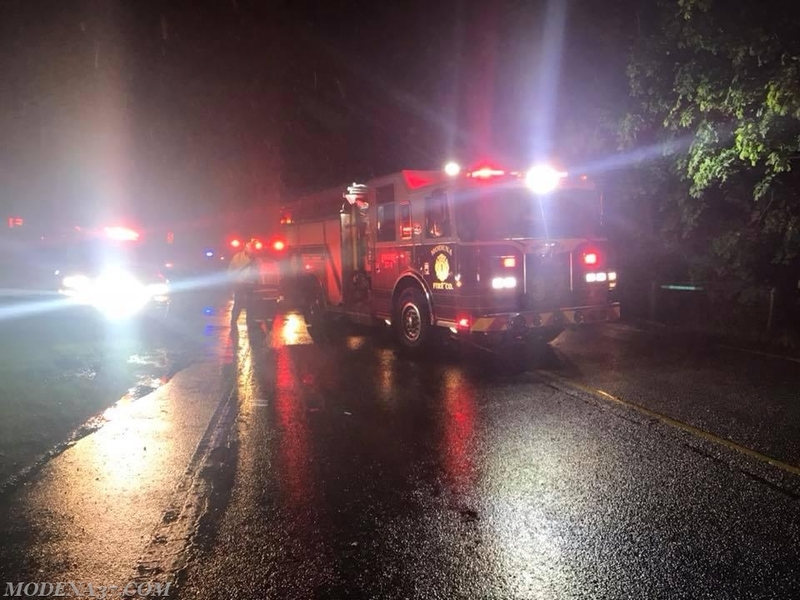 Fire police closed the road between Strasburg and Upper Gap Roads. 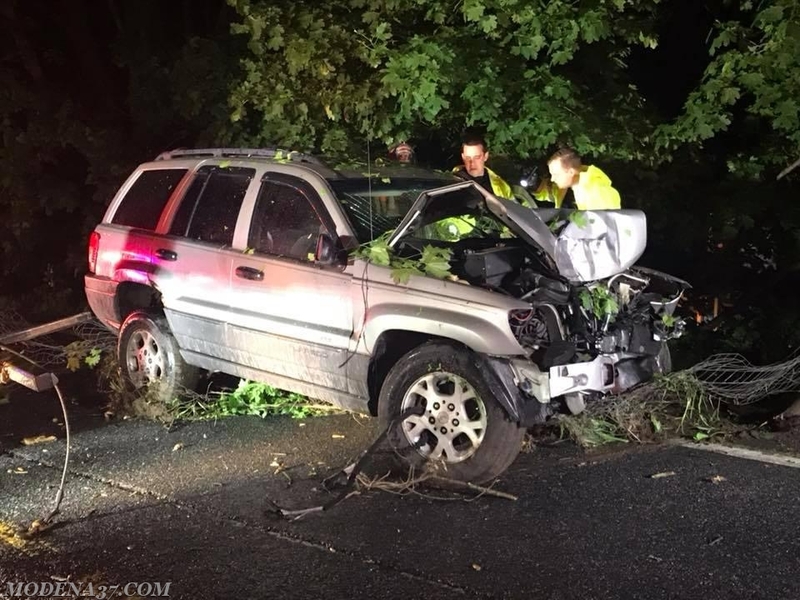 With no entrapment and plenty of man power from Modena, Rescue 44 was cancelled enroute to the scene. 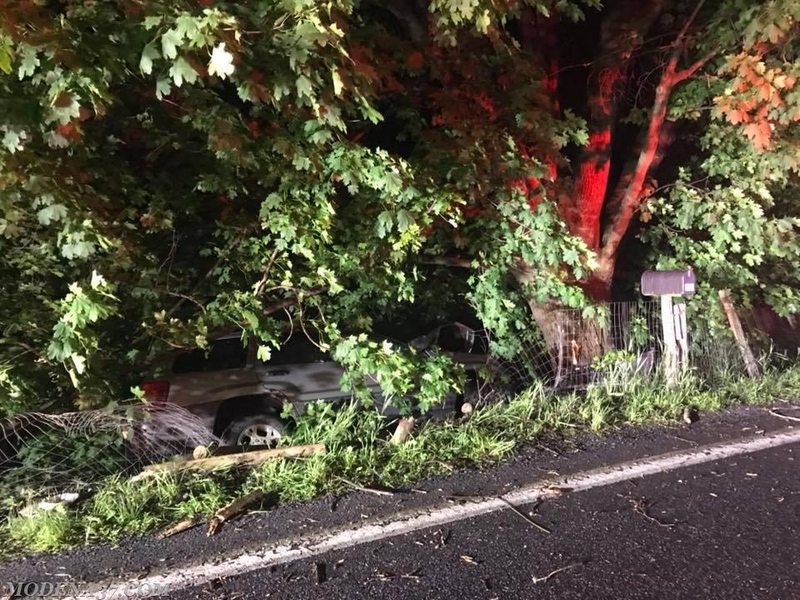 All occupants were transported to local trauma center. 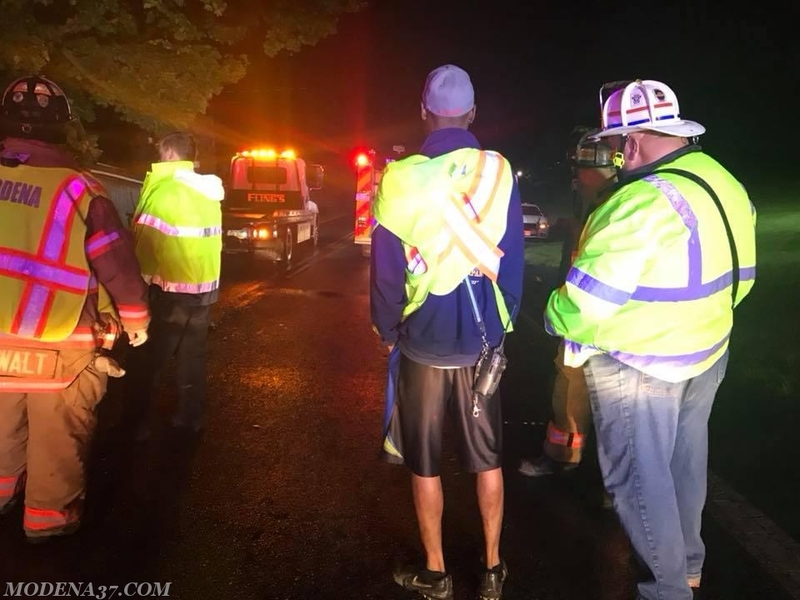 Flings Towing responded to remove car from incident. All fire units cleared the scene at 0050 and road was reopened.